There are seemingly infinite possible ways to protect your iPad while on the go. 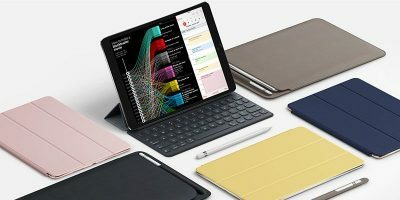 Whether you like the Apple style case or a standard sleeve, they’ve both got one thing in common: they’re pretty boring! This is where Zazzle.com comes in. 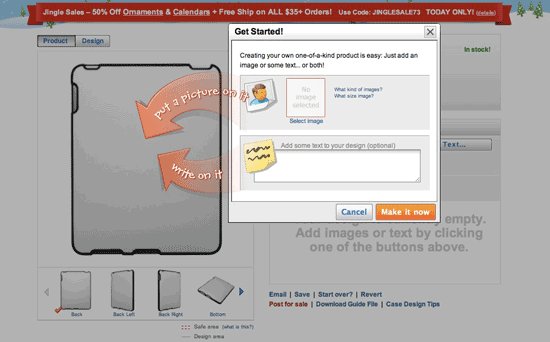 Zazzle.com gives its users the ability to create custom version of almost anything! From t-shirts to coffee mugs, phone cases to iPad cases, the process is quick and easy. So what do you get for your money, and is it worth it? Read on for MakeTechEasier’s rundown on the process! First, head over to www.zazzle.com/custom/ipadcases. Here you’ll be greeted with some examples of what can be done when users are left to customize their own cases, as well as some information on the process. 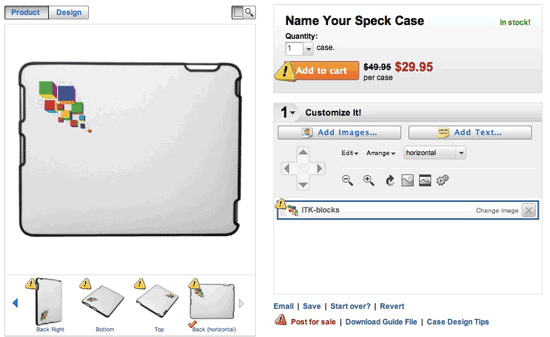 Click the “Create a case” button toward the right to get started. 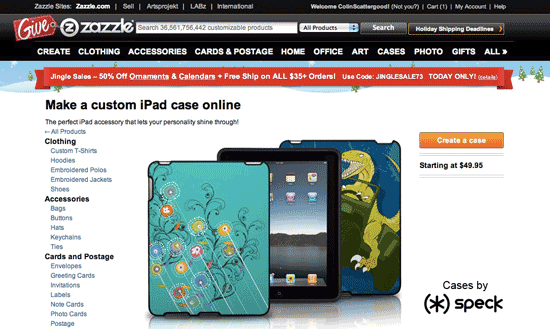 Once you click through to Zazzle’s iPad case design page, you’ll be greeted with a “Getting Started” window. This window will allow you to start by inserting the picture of your choice, or text of your choice, onto the case. You can always add more later, and once you have a few items on there, you can adjust their size, orientation, placement and more with the intuitive controls provided on the site. Keep in mind that in the case of images, you want to use as high a resolution as possible, that way if you decide to expand them a little during your design process you won’t have a problem with their appearance. If you do expand an image to the point where it may not look good in the final printing of the product, you’ll get little exclamations letting you know you may want to switch to a higher resolution image, or reduce the zoom of the image in your current design. The image below is an example of a design with a stretched out low-res image. See the exclamations? Once you’re happy with the appearance of the case, just click the “Add to cart” button and follow through the standard checkout procedure. Shipping times vary depending on how much you spend, but I bought economy and it took about a week to arrive. Not bad at all considering it’s custom made! As for the final version of my iPad case, well, for the moment I couldn’t be happier. It’s very rigid, offering great protection against bending, and it barely adds any bulk to the iPad. In fact, I found it actually made gripping the iPad significantly easier, making reading and playing games significantly more enjoyable than before. It also does a great job of protecting against those little dents the aluminum backs of iPads tend to get over time. One of the reasons though that the grip is so good is the material they use to make the custom designs. I’m not sure if it is some type of plastic or not, but it sure feels like fabric. This gives it a great grip, but also has lead to some concern for me. While I’m not seeing any problems yet (I’ve only been using it for a few days) I am concerned that if this is truly a fabric, as it feels to be, that anything white may tend to get dirty over time. I’m hoping this is not the case, and will certainly be keeping you all informed as time goes on, but for now, its a perfect white, the graphics look fantastic, and the case protects as advertised! Have any of you ever made a custom case? What cases are you using now, if you’re using one at all? Is this something you’d be interested in? As always, let us know in the comments! 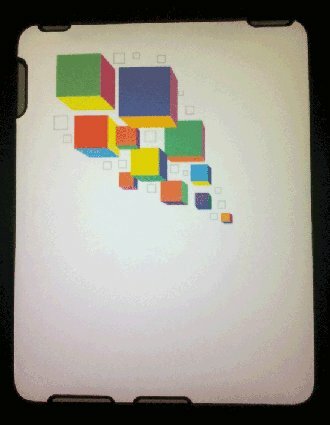 I’m interested to have a customize iPad case design so my iPad will have its own good and unique style.